...or get these 'peace activists' to tear each other apart before they can do something terrible. Use every trick in the intelligence playbook - from black bag jobs to direct violence - to stop them. 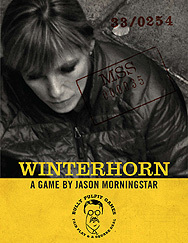 Winterhorn is a live-action game about how governments degrade and destroy activist groups.